Cast your mind back two months and you may recall a story that confirmed South Korea as a key location in Black Panther‘s globetrotting production. 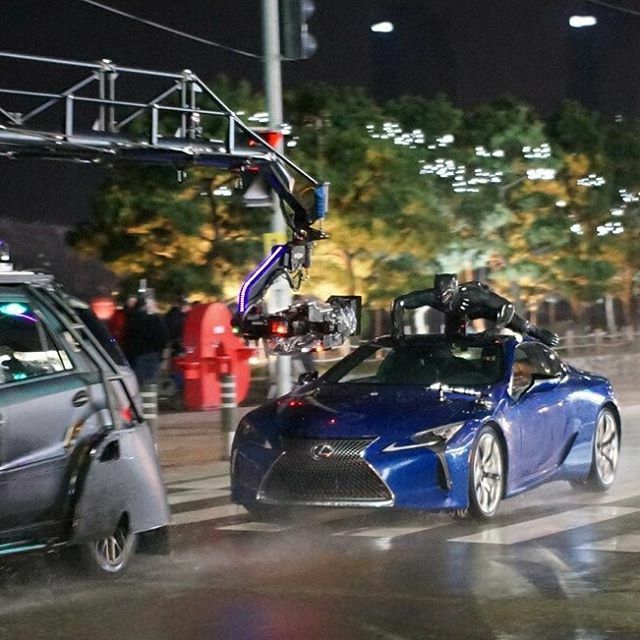 The report claimed more than 700 extras would be lining the streets of Busan, with helicopters buzzing overhead, as writer-director Ryan Coogler would go about capturing a suitably huge chase sequence involving Chadwick Boseman’s T’Challa and the chief antagonist – Michael B. Jordan’s Killmonger, perhaps? Turns out those reports were onto something after all, as CBM has today uncovered a deluge of set photos and videos featuring Boseman’s would-be King hitching a ride on a super-sleek blue sportscar. Exactly who is behind the wheel remains a mystery for the time being, but we’ve included them all below, as they ought to give you at least some idea of what to expect when Black Panther claws its way into theaters in February 2018. Now that Coogler’s standalone pic is in active production – incidentally, Black Panther began filming right around the time that Joe and Anthony Russo fired up the cameras on Avengers: Infinity War – we’ve not only caught wind of the film’s dual nature, but also a host of concept art designed to showcase the advanced African nation of Wakanda. Headed up by Boseman and Michael B. Jordan, Black Panther also has room in its ranks for Martin Freeman and Andy Serkis, not to mention Lupita Nyong’o, Danai Gurira, Daniel Kaluuya, Angela Bassett, Rogue One star Forest Whitaker, Letitia Wright, Winston Duke, Florence Kasumba, Sterling K. Brown, and John Kani. Black Panther scurries into theaters on February 16th, 2018. That’s a corridor it currently shares with Pacific Rim: Uprising and The Predator, Shane Black’s back-to-basics reboot that officially entered production in Los Angeles late last month.